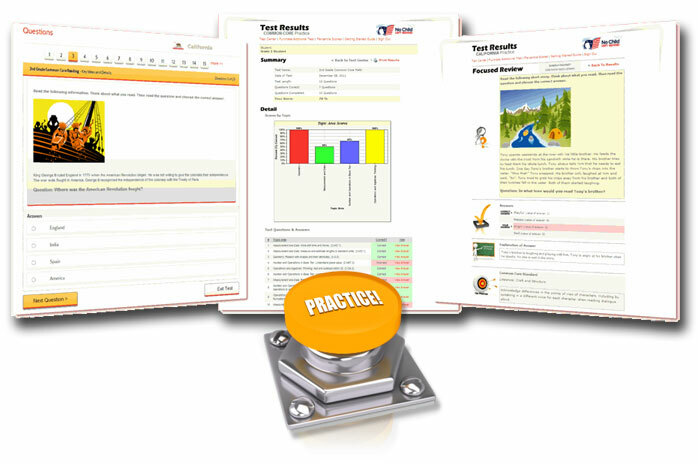 Massachusetts Comprehensive Assessment System (MCAS) Practice Tests - Start Practicing Now! What are the Massachusetts Comprehensive Assessment System (MCAS) Tests? The Massachusetts Comprehensive Assessment System is the newly redesigned "next gen" version of the MCAS testing. This summative assessment is designed to provide information about what students know in core academic areas. Subjects tested include Mathematics, English Language Arts (ELA), and Science and Technology. Our practice materials helps students build confidence and raise test scores for the Massachusetts Comprehensive Assessment System (MCAS). The materials are both affordable and comprehensive encompassing all major subjects: English / Language Arts, Mathematics, Science and Social Science. Students are provided with instant results and feedback after taking tests and are able to view reports which include comprehensive charts and graphs tracking progress. Affordable Pricing Starting at just $19.97! In addition to our standard reports at the end of each test, we offer an exclusive National Percentile Comparison Report. This extensive report compares the scores of an individual students with other students taking the same test and in the same grade across the nation. Students can see how well they are doing comparatively in a particular topic area and understand which areas need further study. This is a free component within our 1-year practice test package. This percentile comparison allows you to compare your scores in each individual section and topic area (standard) with scores of other students in the same grade level across the nation! The Bright Education System is proven effective in helping students prepare for the Massachusetts Comprehensive Assessment System (MCAS). Our materials are very affordable and we offer flexible pricing options to fit your budget. Volume pricing is also available for schools. When is the 2019 Massachusetts MCAS Testing Period? Each school and district will establish its own testing schedule inside of these windows. I think this is an excellent program and I have passed this site on to many who plan on purchasing. Thanks. I found your on-line materials to be more than just test preparation tools - they have inherent educational value as an adjunct to traditional learning.